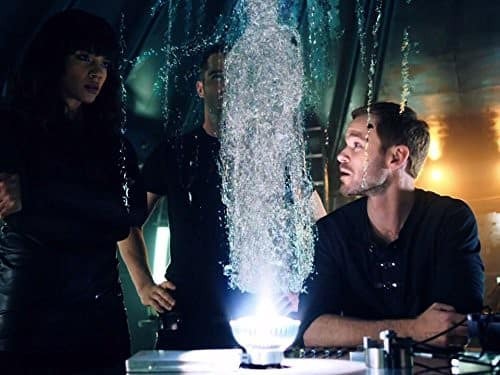 Dutch awakens in time for the birth of D'av's child on Killjoys. "What to Expect When You're Expecting...An Alien Parasite" is the fourth episode of the show's fourth season. Killjoys Season 4 Episode 4: "What to Expect When You're Expecting...An Alien Parasite"
John: You can't hold onto me forever. D'avin: But I can try. Permalink: But I can try. Zephyr: Are you in pain? Delle Sayeh: You mean other than being groped by you mouthbreathers? No. Permalink: You mean other than being groped by you mouthbreathers? No.